Come back here Friday to celebrate my 25th birthday with a give away! When we were walking around the Burgoo Festival, after eating our burgoo, we went to our favorite little organics store in Utica for treats. They also happened to be selling corn chowder out of crockpots on the porch for the festival. I wasn't hungry, unfortunately, but it smelled delicious and I haven't been able to get chowder out of my head since then! I spent two hours bent over my 50 final exam questions for Human Resource Management and afterwards I was so starved my tummy was growling. I wanted the chowder, and I wanted it fast. Chopping and cooking time combined, we were eating this in 30 minutes! To begin, I took a pot and threw in the two tablespoons of butter to melt. I added the onion, carrots, and celery. Next, I used a first time ingredient - teeny tiny potatoes, about the size of a walnut! I got them at Trader Joe's - have you ever seen anything so cute!? I put in maybe two handfuls. The large ones I quartered, the smaller ones I just cut in half. Once all of the vegetables are in the pot and cooked through about halfway, add the milk, cornstarch, and ham. Stir to combine and bring up to a boil. Reduce heat and let simmer about 10 minutes. You can then blend, or serve chunky - we went the chunky route. I chose to whip up a quick eye-balled bowl of Bisquick and milk, which I dropped by the tablespoon around the pot, put the lid on, and let it work it's magic for the last 5ish minutes. This created meatball sized dumplings that we scooped out and served in each bowl! Mmm I love dumplings! Laura at Hey What's for Dinner Mom? awarded me with my 3rd blog award! It's so cute, I love the apron! Thanks Laura! Nicole of Just Sweet Enough who hasn't posted in awhile and I miss her! Allie at Live Laugh Eat who I just discovered through the BSI contest and have really liked reading her blogs and seeing her use up leftovers creatively! Maggie of Say Yes to Salad because I love reading her posts, she explores much more than healthy food, instead focuses whole body nutrition. I also love Healthy Yum! My cousin Anne-Marie at Part of the Whole because she needs an award, this will be her first! I just bought those mini potatoes at Trader Joes as well! They were so cute I had to buy them. Your corn Chow-da looks amazing! Love the answers, that is a fun one! Damn cute potatoes, we grew about 50 pounds of those babies this year. Love'em!! But dumplings make me gag. Leave em out and this is a true winner! I love easy soup that is so fantastic. Adorable potatoes! They are so fun to eat! And I've never really had a REAL homemade corn chowder...can you believe that? And I'm so glad to see that you're an adventurous eater! Tried Korean yet? 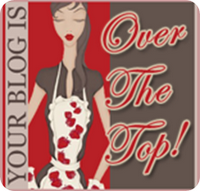 I am so behind on my blog reading - thanks for reminding me to check in on Amy!